You just never know what you'll come across on Craigslist. It's totally one of those hit or miss things and it seems, with it's growing popularity, that most things end up being junk or overpriced. But every once in a while you get lucky. When we went to pick up our bamboo hutch a few months ago, the people mentioned that they also had a bookshelf for sale. I wasn't really looking for a bookcase at the time, but I figured I'd take a look and if the price was right then I might consider it. Well, it turns out they were closing on the house the next day and the lady said if you want it it's yours. I wasn't sure what to expect, but it ended up being a really well made bookshelf and for free I figured I'd find a place for it or give it to someone who needed it. We decided to put it in our bedroom just to see what it looked like in there and it ended up being a perfect fit. I was originally planning on painting it, but the faux finish has kind of grown on me. From a distance it has a burl wood feel to it and up close you see more of the metallic mix it has going on. Have you had any luck with Craigslist lately? It's so perfect against your dark walls! And beautifully styled as always. :) I look every day, but no luck since my brass tray table a few weeks ago. So good!! At first I thought it was burled wood! Can't beat the price!!! oh yes i love that faux finish!!!! 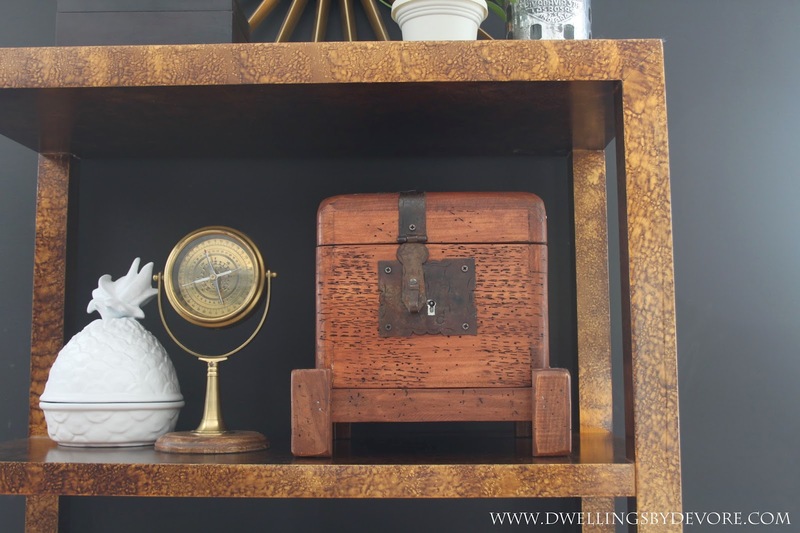 I love it the way it is and your styling makes it all the more covetable! Love the finish on it. Great score! what a score! I get exhausted scouring craigslist but it makes it worth it when you find that gem! I really like this bookshelf! the parsons vibe + the burlwood look is so unique. That is a fabulous find. It's so lovely! 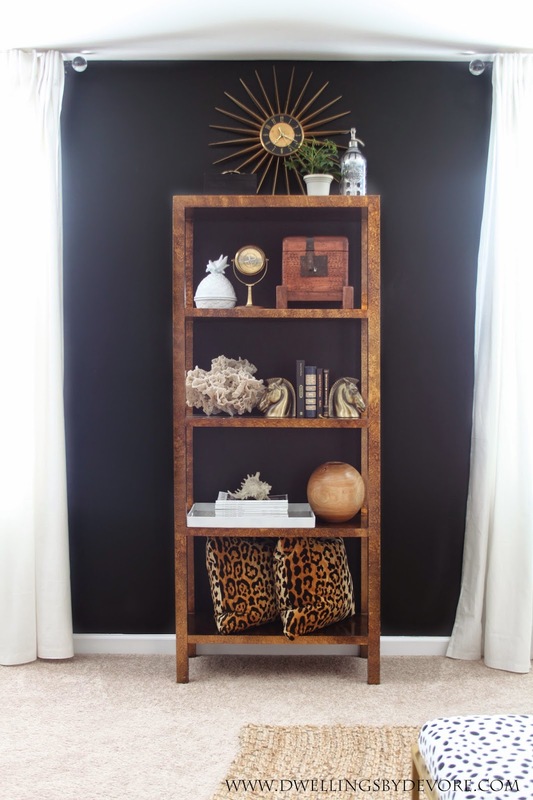 That finish is just fantastic with your dark walls! Such a score! 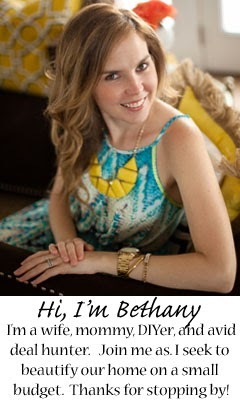 Wow, Bethany!! What a great find - and how amazing that it fits in perfectly!! Love that burl look! 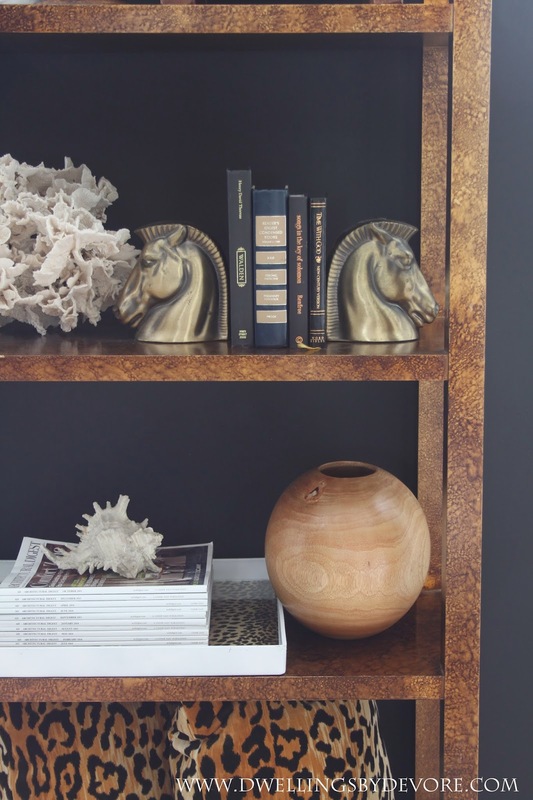 I love this, my grandmother had legal bookcases in her home that were backed with faux burl so because of it I'm sorta obsessed with anything burl related! Great score! !